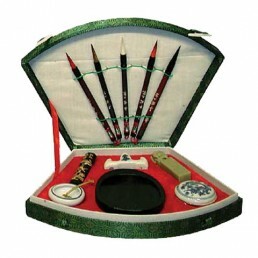 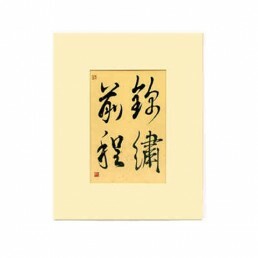 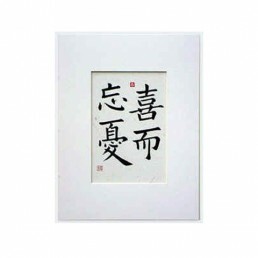 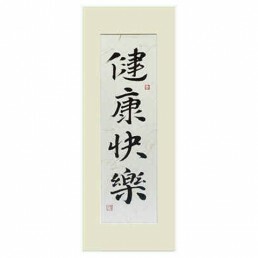 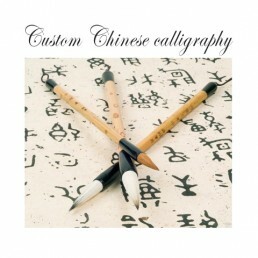 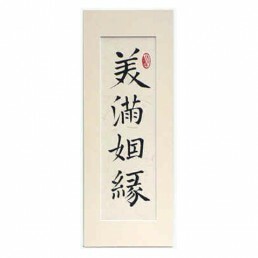 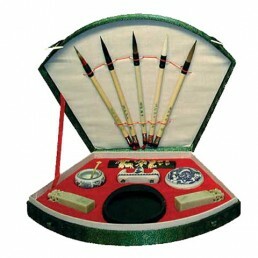 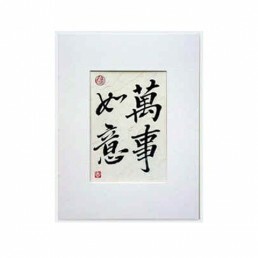 Asia Dragon offer a wide variety of Chinese calligraphy. 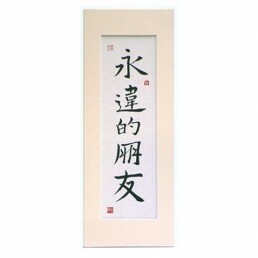 Choose from our standard range or choose your own words. 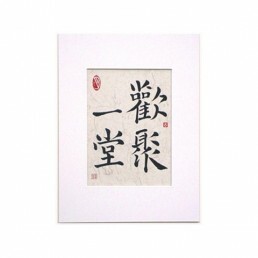 These beautuful characters are hand written, mounted ready for framing and are available in a range of sizes. 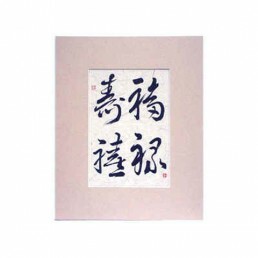 Chinese calligraphy 'A Glorious Future' ..
Chinese calligraphy 'A Happy Marriage' ..
Chinese calligraphy 'Don't Worry be Happy' ..
Chinese calligraphy 'Forever Friends' ..
Chinese calligraphy 'Happily Gather Under the Same Roof' ..
Chinese calligraphy 'Happiness, Good fortune, Long life, and good luck' ..
Chinese calligraphy 'Health and Happiness' ..
Chinese calligraphy 'May everything turn out as you wish' ..
Asia Dragon's calligraphist, Cathay Chou, can produce fine Chinese characters with your name, fav..
Includes 5 quality brushes, soapstone seals, ink & pots, ink mixing stone & brush rest, a..
Small size calligraphy set includes 5 quality brushes and brush rest, soapstone seal, ink & p..